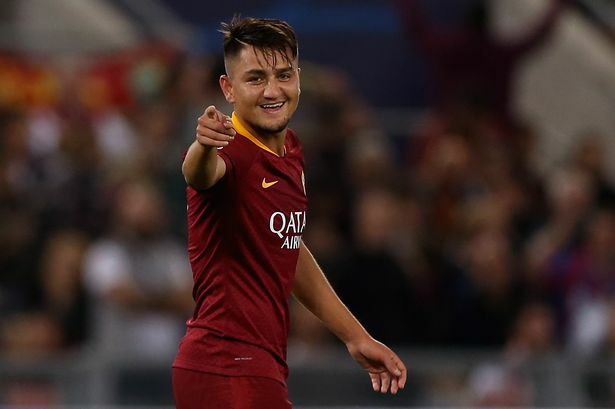 Arsenal are in ‘pole position’ to land highly-rated Roma winger Cengiz Under according to reports in Italy, via Sport Witness . The 21-year-old is seen as the most promising talents in Europe with Bayern Munich also thought to be in the hunt. Reports suggest that Roma want £52m as they would have to take into account paying 20% of any future fee back to Basaksehir as part of the agreement that saw him join in 2017. The Gunners are keen on improving their wide options and Under fits the bill for Unai Emery. The Turkish international has contributed two goals and three assists so far this season. Under made his professional debut in 2014 at Altinordu, playing 51 times in the Turkish second tier before earning a move to Super Lig side Bursaspor. Nine goals in 43 games in his debut season there saw Roma splash out €13.4 million (£11.8m/$15.5m) for the right winger. Under is a regular at Roma and after impressing there in Serie A and the Champions League, is in demand across Europe. He has been linked with clubs such as Monaco and Arsenal, but Altinordu’s chairman says that Bayern could be a likely destination for the €60m-rated (£52m/$70m) 21-year-old. “Bayern Munich are keeping a close eye on Cengiz,” Mehmet Ozkan told Gazzetta dello Sport.